Description: Destined to be toted in school backpacks everywhere, this new encyclopedia series for young readers contains on-the-spot information in children's favorite subject areas. Kids love facts: they want to know about the biggest, fastest, tallest, and oldest everything. Full of instant information, these books feature a fresh design that is sure to appeal to the middle grade audience. These single-subject guides offer a unique catalog-style presentation, which clearly lays out individual subcategories with concise and punchy text covering all of the essential information on whatever topic is at-hand. 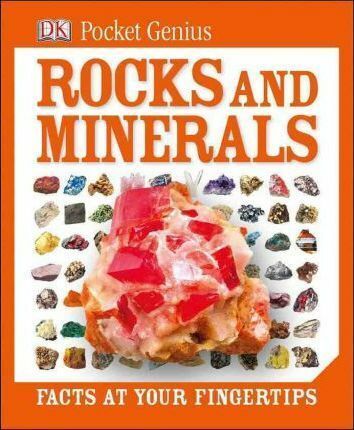 "Pocket Genius: Rocks and Minerals" profiles nearly 200 types of rocks and minerals from volcanic rocks and granite to sparkling diamonds and explosive sulfur, and tells what they are made of, how they are formed and what they are used for. Supports the Common Core State Standards.